The trip is over. He returned safely and had a “good time,” but has found no time to look for God’s answers to his miserable condition. Perhaps the trip was so enjoyable that it has relieved him, temporarily, of his distress. It may also have been a “gentle” forewarning from God that, when his misery returns, he will not escape His wrath the next time. Righteousness and right living have their rewards: a life with God’s presence, power and protection now, and a life with Him in eternity. He promised us that He would deliver us from death and destruction, and grant us eternal life with Him in the future. Trust Him today! Prayer: Thank You, Father, for Your salvation, the assurance of Your presence and protection now, the gift of hope, and the promise of eternal life with You. In Jesus’ Name, Amen. Scripture For Today: Proverbs 11:4 Wealth is worthless in the day of wrath, but righteousness delivers from death. 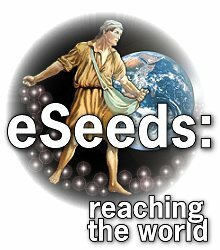 Welcome to eSeeds For the Garden of Your Heart! Enjoy Dr. Guido's daily devotionals. Visit the Michael Guido Legacy site. Share a memory or comment on Dr. Guido's impact on your life, and read what others are saying on The Legacy of Michael Guido. The editor of "Seeds From The sower" is Lawrence Guido, the brother of Dr. Michael Guido, who began the Sower Ministries over 40 years ago. Dr. Michael passed in 2009, and Larry now carries on the work. "You Need To Change Her Name!" Where Does It All End? Is It The End Or The Beginning? Who Are The "Real" Heroes? Is The Word "Love" A Cover-Up? Why Live A Life Of Integrity? The ministry of The Sower is supported by voluntary gifts. It is not underwritten by any organization.